Marathi is an Indo-aryan language spoken by a fairly large number of people. 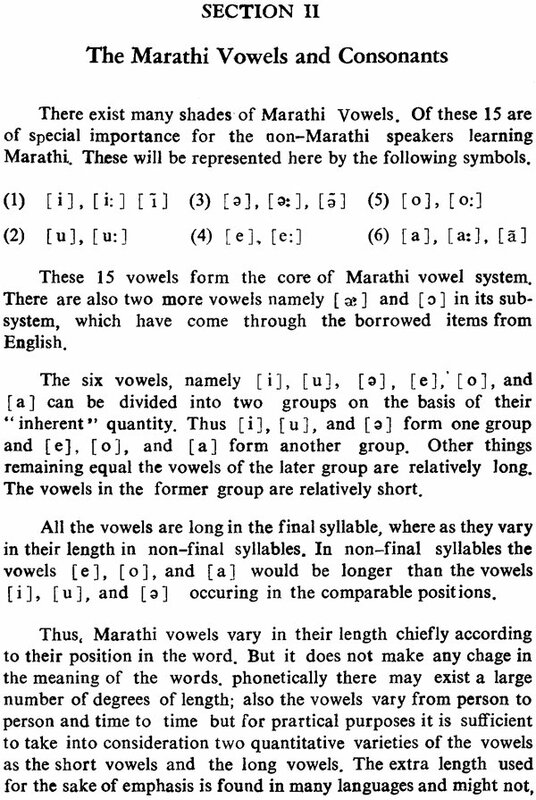 According to the 1971 Census Report the number of Marathi speakers in Maharashtra is 38616857 and the number of Marathi speakers in other states is 3634350. It borders on two Dravidian languages–Telugu and Kannada, and two Indo-aryan languages–Gujarati and Hindi. It has a number of social and regional dialects like Kosti, Koli, Kudali, Kunbi, Povari, Thakri etc. The Marathi spoken by the educated people in Poona is chosen as a basis to prepare this Outline. This speech form is quite close to the written form of Marathi. The first section gives a brief outline of the organs of speech and the mechanism of sound production. 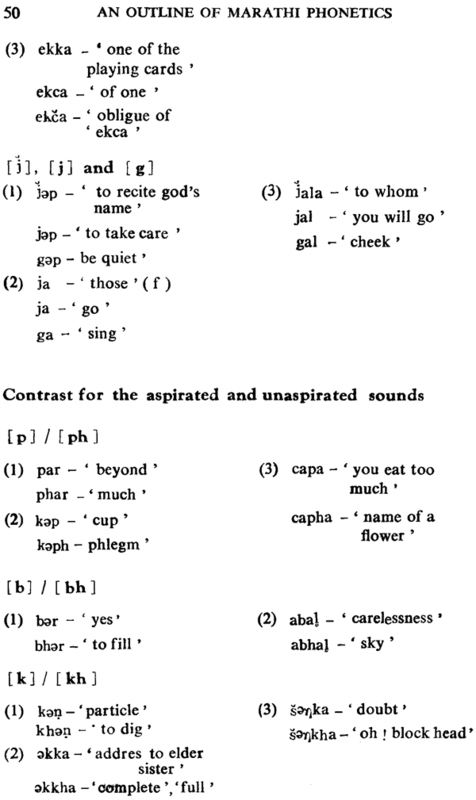 The second section describes the Marathi Sounds in details. 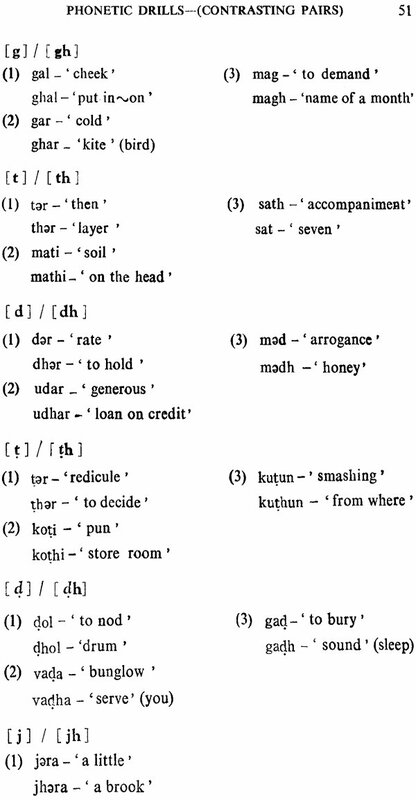 This is followed by the ‘third section consisting of phonetic drills for the Marathi sounds. 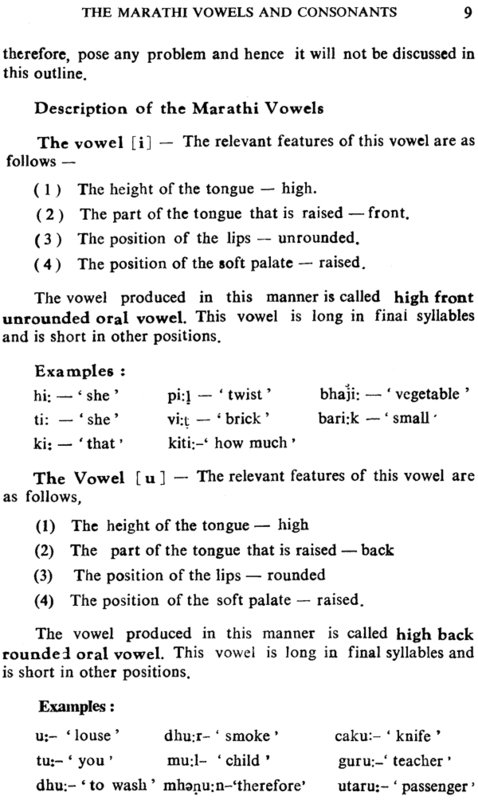 The last section gives a short note on the writing system of Marathi.